For more information, please visit the Arisaka Webpage. Elzetta Design has offered limited edition lights since 2010 and 2016 is no different….with one exception. One lucky winner will win a limited edition light before they are even available to purchase. Fill out a form (CLICK HERE). Elzetta Design, LLC is pleased to announce that the new Mini-CQB Modular Weaponlights are now shipping and production models are even better than promised. The Mini-CQB delivers 375 lumens (60 more lumens than previously revealed) of neutral-tint white light from a single CR123A battery. As the name implies this new weaponlight is designed specifically for close quarters battle engagements and home defense applications. With its high-lumen/low-candela output, the Mini-CQB produces an effective wall of light to optimize threat assessment and situational awareness. The Mini-CQB is available with any of six Tailcaps (Rotary, Click, Alpha High/Low, High/Strobe, or Tape Switch with 5″ or 12″ Cable). It is also available with three ambidextrous attachment mechanisms; M-1913 Picatinny, Keymod/M-LOK™, and MOE™ handguards. The Keymod/M-LOK™ system fits both mounting systems by utilizing patent-pending reversible nuts in one direction for Keymod and flipped for M-LOK™. The Mini-CQB Weaponlights join Elzetta Alpha, Bravo, and Charlie Modular Flashlights as The Toughest Flashlights on the Planet, featuring fully-potted electronics and solid-acrylic optical lenses (no reflectors). Mini-CQB Weaponlights weigh less than 5 oz. and start at just $210 MSRP. 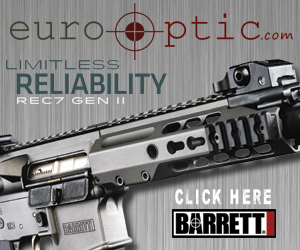 Like all Elzetta products, Mini-CQB Weaponlights are Made in USA with a lifetime guarantee. New from Elzetta Design for 2015 is their Mini CQB Light. The Mini CQB is based off of their “Alpha” model and is compatible with all of the “Alpha” light components and is in partnership with Impact Weapons Components (IWC). The single CR123 battery light boasts an amazing 315 lumens and most impressively, will mount to Picatinny, Key-Mod, and M-Lok rails by switching out the interchangable rail attachment point, which will be sold separately. Elzetta is taking pre-orders now and you can expect them to be available around late-March to early-April 2015. The Mini CQB will run $235 for the M-Lok and Key-Mod models and $210 for the Picatinny model. For more information, visit Elzetta Design at http://www.elzetta.com/. Check out this video from Elzetta Design, featuring Dave Barnett. He does a great job explaining the difference in the quality of beam tint and explains why some high-lumen lights will have a blue tint and why the Elzetta lights do not. Elzetta is having a photo contest on Instagram for your chance to win an Elzetta Modular Flashlight of your choice. As the instructions above imply, post a photo of your Elzetta product on Instagram with the hashtag #ToughestFlashlighOnThePlanet by August 31 and the winner will be picked by none other than Top Shot Champ Dustin Ellermann. Be Creative. A generic shot of the light on your floor will not be noticed. Be Tough. Elzetta lights are the toughest lights you will find out there. Show them in action and how tough they are. A shot of them lying on bubble wrap or on a bed of cotton will probably not win you any points. Be Bold. If thousands of entries look the same, but one stands out with how bold it is, you may have a better chance. Streamlight has introduced a number of new products for 2014. The ProTac HL3 is a 3-cell, 1100 lumen handheld light that has a wide light throw reduce tunnel vision. The ProTac HL3 will reach over 300 meters and features a High-Strobe-Low tailcap with 10 Tap Technology that can be adjusted for customized needs for the order of lighting options. The ProTac HL3 will retail for $155 and will be available in April 2014. The Scorpion HL is a 600 lumen handheld light with a rubber texturized grip that also features a 10 Tap Technology tail cap. The Scorpion will retail for $120 and will be available in March 2014. The TLR-4G handgun light will accommodate sub-compact, compact, and full size handguns. This 115 lumen light can operate in Light Only, Laser Only, and both Light and Laser. The TLR-4G will operate in extreme temperatures from -20 F to 120 F. This light will be available in February 2014 and will retail for $399. The TLR-2 IRW handgun light features a 300 lumen light and IR laser. It will fit on a MIL-STD 1913 Rail or the Glock accessory rail. The TLR-2 IRW will be available in February 2014 and will retail for $575. For those looking for a convenient rechargeable by USB light, the Stylus Pro and the Clipmate USB are great options. The Stylus Pro is a large pen sized 70 lumen light and can be recharged using an USB cable. The micro USB port is accessed by pulling down a sleeve to expose the port. The Stylus Pro will be available in April 2014. The Clipmate USB is the perfect clip-on light that features a metal clip on the back side of the body to clip onto a pocket, MOLLE webbing, or any location that is accessible. The USB charger tab is located on the bottom side of the body with a water resistant cover. The light is attached to a bendable neck and features both red and white light in high and low settings. The light offers 70 and 10 lumen options depending on the setting. For more information visit, streamlight.com.